It’s hard to get excited about an alarm clock. I mean, if it tells time correctly and wakes you up every morning, it does its job well. 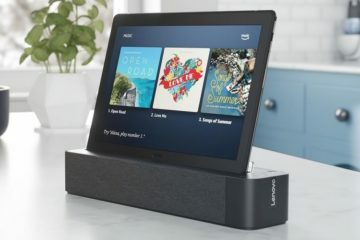 What makes the Sandman Doppler a step above your usual alarm clocks, though, is its full Alexa integration, which allows you to have Amazon’s virtual assistant by your bedside without needing to bring a separate speaker into the bedroom. 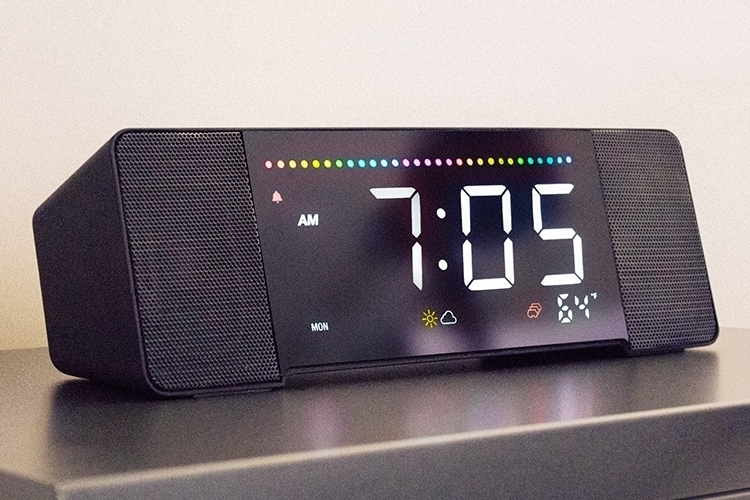 That’s right, someone went ahead and combined a digital alarm clock with an Alexa-powered speaker, allowing you to use the same device that wakes you up every morning for a whole load of useful functions. Not only can your alarm clock rouse you up from slumber, you can also command it to turn on the lights and thermostat in the kitchen, give you the weather forecast for the day, and play whatever playlist gets you going when you find it hard to leave the bed in the morning. The Sandman Doppler comes with a large 1.8-inch display for telling the time, so you should be able to read it even with a cursory glance. Aside from telling the time, it can display the day of the week, traffic information, weather forecasts, stock prices, and even appointments in your calendar, so you can use it to pick up a lot of information first thing in the morning. A built-in light sensor allows it to recognize the amount of brightness in the room, which prompts it to either dim or brighten its display, so you don’t have to put up with a strong light when the lights are off at night. The display color can be adjusted, by the way, so you can choose darker shades if you find bright hues a little off-putting in the bedroom. As for the speaker, it comes with full-range stereo units that, the outfit claims, will play your music with satisfying clarity. 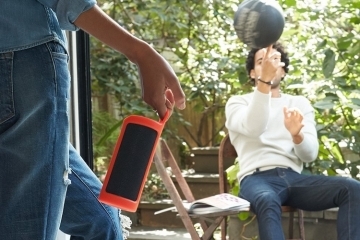 Like other Alexa-powered speakers, it can stream music from your phone over Bluetooth, as well as hop on to your home’s Wi-Fi network for playing tunes directly from music streaming services. 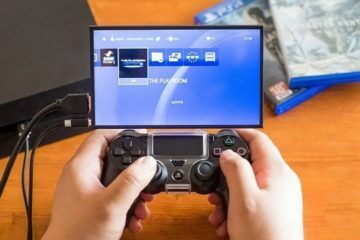 While you can, of course, use your voice to control music playback, they also throw in buttons along the top for those who prefer tactile controls. 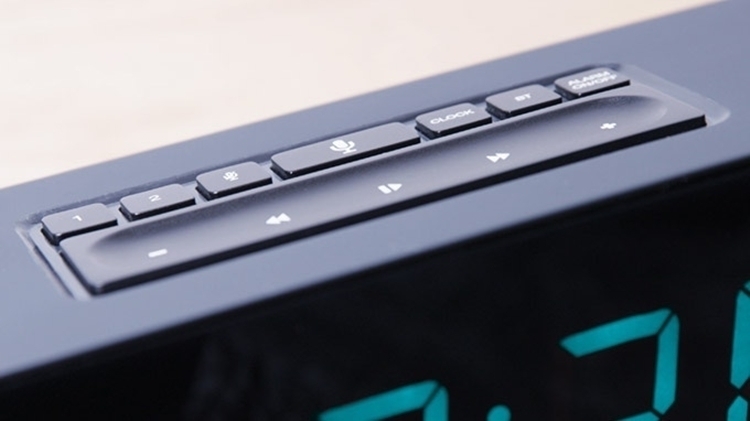 Aside from playback, the buttons also let you launch Alexa, snooze the alarm clock, and toggle alarm settings. There are also two programmable buttons that you can use to quickly trigger frequently-executed actions. An accompanying app allows you to set and manage multiple alarms, as well as customize the actions for the programmable buttons on the Sandman Doppler. 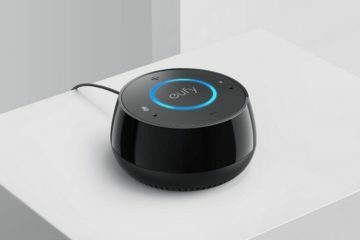 Aside from serving as an alarm clock and a virtual assistant speaker, the darn thing also functions as a charging hub, with six available ports for charging all your gadgets while you sleep at night. While designed to be plugged in to a wall outlet, the device houses an internal rechargeable battery to ensure it can wake you up in the morning even in the middle of a power outage. A Kickstarter campaign is currently running for the Sandman Doppler. You can reserve a unit for pledges starting at $119. They are looking at adding Google Assitant too. I wonder if you would have your choice of Google or Amazon Alexa when you order one, or if they would both be in one device. 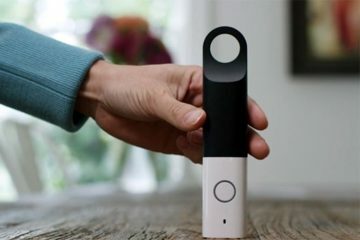 It would be kind of sweet to have both the Amazon and Goole personal assistant in one device! There are no 3.5mm audio ports on it. 🙁 This means you can’t plug in an external speaker for better music sound. There also is not BlueTooth. They should have added a port for audio. Without the ability to hook up some great speakers to it, it is not as exciting as I originally thought. You can still listen thru the internal speakers, but I want the ability to add better external speakers if I choose to. is a great choice because it is built in. you can switch the Sirius XM channel on the Sandman Doppler with just your voice. The Sandman Doppler has a great price point, but I would still prefer an Amazon Echo over this. The Amazon Echo is already tested, shipped, and has thousands of satisfied customers. The final design of the Sandman Doppler has still not been decided. They have big plans of adding different features in the future, but Echo can already do this. The Amazon Echo is becoming “old technology” since they have released the Echo Show. While Amazon has moved on to the next generation of personal assistants, the Sandman Doppler is still playing catch-up to the first generation. By the time the Sandman Doppler is released (if ever), it will be extremely dated for what we expect in a personal assistant. The previous product that these guys released was the Sandman Clock. At $45, it’s a pretty good deal. 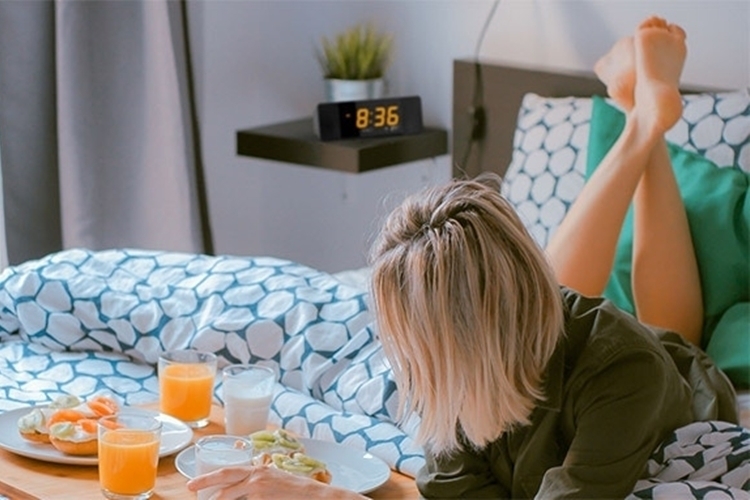 It is a stylish clock for your bedroom with ports to plug in your phones and other USB powered devices into to charge them. The problem is they placed the USB ports on the rear of the clock. It does look cleaner that way, but usability is much harder since you have to plug into the back of the clock. I’d much rather have it slightly less stylish and much easier to use with the USB ports on the front of it. You can use almost every Amazon Alexa skill. If you are looking at buying an Echo but not in a hurry, then the Sandman Doppler will not only save you some money, it will also feature a much better alarm clock. I like having the physical presence of a clock, which the Echo is definitely lacking. When I wake up at night and wonder what the time is, I simply want to roll over and glance at my clock, not ask it what time it is and wake my wife up. 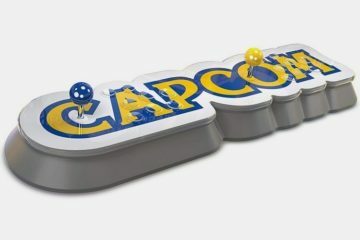 The customizable smart buttons are a nifty feature too. We all have those commands that we use often, so now you can set a physical button to automatically perform those commands. 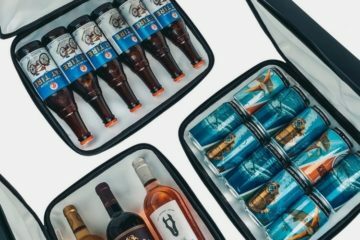 Are you a single guy in college? You can set the Sandman Dopper to dim the lights and play Barry Manilow automatically by just pressing a button. In regards to Gregory’s comment above, the Sandman Doppler does have Bluetooth. 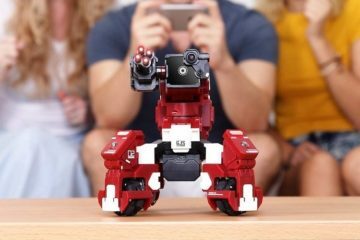 It is designed to connect to your phone. 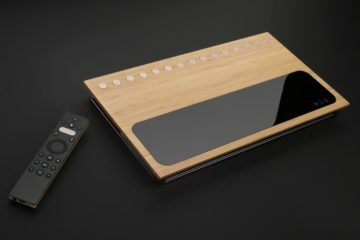 In addition, it has 6 USB ports which will help you to charge all of your devices while you sleep. The Sandman Doppler is a much better value than the Echo, plus you can do almost everything with this as you can the Echo. Is it really that hard just ask “Alexa, what time is it?” The only benefit I see to this in my household is the 6 USB charging ports, but I can buy a USB charging port for cheaper than this. I use my phone for my Alarm and it works fine. This reminds me of someone who is ready to start selling a covered wagon, except this covered wagon will be better than the ones the pioneers used because it’ll have built-in speakers. It is basically an overpriced alarm clock. 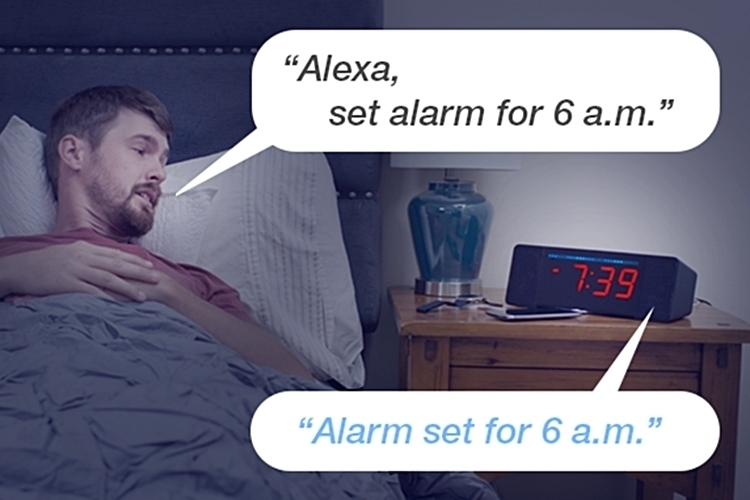 Yes the Alexa functions are nice, but if all you need is a simple alarm clock then this is definitely overkill. 6 USB ports is pretty cool, but the speaker is obviously of superb quality – and for just over $100 I definitely think this is a worthy investment. 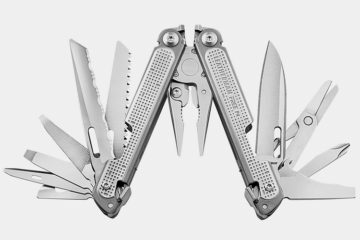 It is a really nice product, and you can tell by the craftsmanship, features, and thought that the manufacturer really went above and beyond to meet various functions and needs – for those that are less appealed to the idea of just simply using their mobile device for an ‘alarm clock’ that is. The speakers are definitely much better than an Echo, but if you are going to hook up external speakers for the best sound then you could just as easily use the Echo. I can’t remember the last time I had an alarm clock I didn’t want to smack off the table – or accidentally smack it off the table hitting “snooze” Lol. Adjusting the color of the clock face is cool. I prefer cooler blue tones while my wife prefers night-blinding sharp yellows. Maybe a semi-warm amber tone would work for both of us as a compromise. I like setting my alarm clock tones on my phone because I can use a friendly tone. 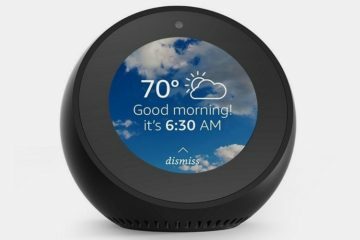 I agree traditional alarm clock sounds are an awful way to start the day.I think dollar-dor-dollar, the Sandman Doppler is the best choice is a Sandman Doppler vs Amazon Echo review showdown.